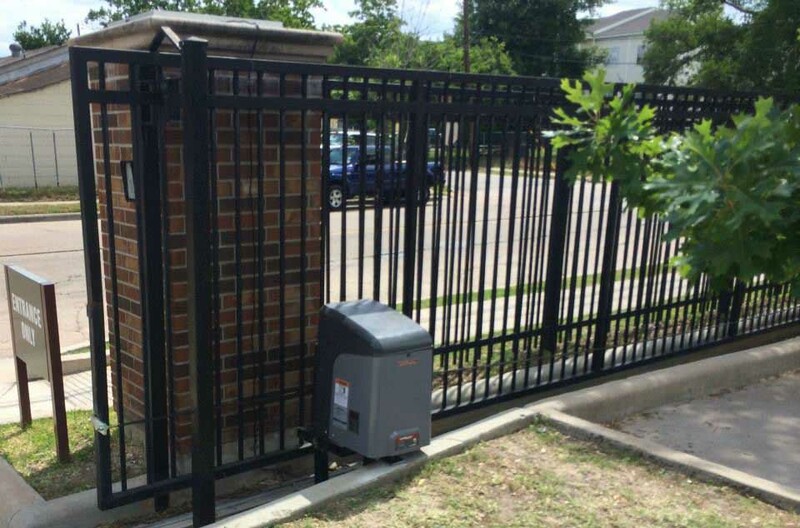 Sliding automated iron security gate for high-traffic property in Houston. The streamlined design compliments the commercial property. Sentry Garage Door & Gate proudly installs sturdy and durable gate solutions for commercial businesses, offices, and apartment complexes. Our openers and access control systems deliver years of reliable performance and security.